Motor oil does not come with a ‘best if used by’ date printed on the bottle. So can I use that bottle until the apocalypse or does motor oil go bad? Motor oil does not come with a ‘best if used by’ date printed on the bottle. But its close cousin in the petroleum products family, gasoline, does indeed go bad in storage, and at an alarmingly fast rate. 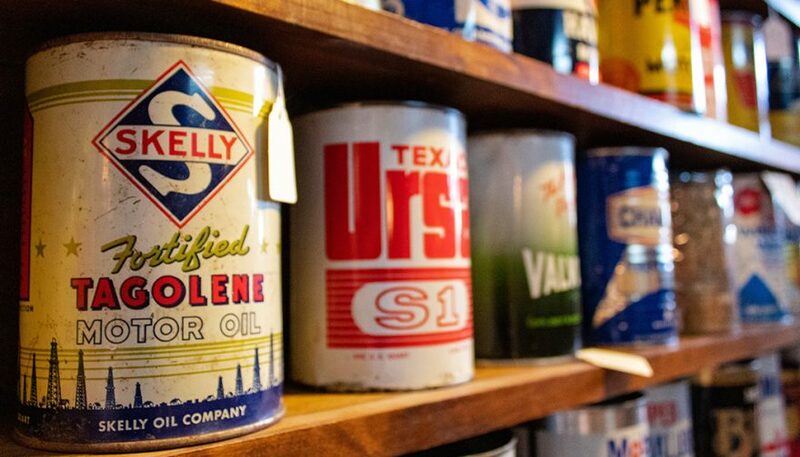 So, what’s the deal with motor oil storage times? Let’s look into the question does motor oil go bad and learn a few fun facts about motor oil along the way. Why Does Gasoline Go Bad? Most people who have any interest at all in machines that run on gasoline have dealt with spoiled gas. Either the machines run bad or don’t start at all on gas that is too old. Spoiled gas is an unpleasant problem to deal with. 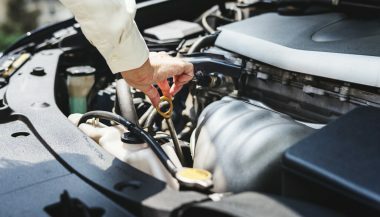 Be they motor vehicles, lawn equipment, chainsaws, snowmobiles, motorcycles, or sea craft; all gas-driven machines will see their fuel transformed into a gummy mess inside their carburetors and fuel systems over the passage of time. How much time? Not much. Gasoline will start decomposing and breaking down in as little as 60 days. Sixty days from when? When it was delivered to the gas station and exposed to constant contact with air (in the underground storage tanks) for the first time. If we can understand why gasoline spoilage occurs, then we can see if that same process might affect the motor oil you bought at a flea market, or latest department store sale, and have stored in your garage waiting for the apocalypse, and get an answer to does motor oil go bad? Crude oil is thick. To transform that gooey mess into motor oil and motor fuels, it is refined, or if you prefer to think of it like this, distilled. A few different methods can be employed to break down (or ‘crack’) the crude oil into its thinner products, but all methods involve heat and lots of it. The first boiled-off petroleum product in any typical refinery might be asphalt. Don’t put that in your engine. Next off the ‘assembly line’ refining process and undergoing a little more time and heat in the system would be thick bunker oil for ocean-going ships, still not suitable for your daily driver to run on. A little more time and heat in the process will give us motor oil. As you guessed, even more time and heat applied to the crude oil will produce vapors that are condensed (sort of) into diesel fuel, kerosene, jet fuel and finally the thinnest of all, gasoline. So, for spoilage over time, which was our original question, if we just let any of those products cool and rest undisturbed over enough time, they should begin converting back towards their crude oil state. But time alone is not enough to answer does motor oil go bad. While gasoline might appear to be a single fluid, it is really composed of several fluids blended together. No, it’s not aged, if you thought that is what I was going to say next. The blended liquids, some thinner than others, will start to evaporate when exposed to the air inside your car’s gas tank. The thinnest ingredients evaporate first, leaving the thicker materials to clog up the fuel system. But fuel tanks contain gallons and gallons of air space when they are not filled to capacity (Hint: When storing your machines fill the fuel tanks to capacity to crowd out as much air from the tanks as possible. Another hint: Don’t drive around with your fuel gauge barely above empty, especially in cold, damp weather. A word to the wise and cheap among us.) That air space allows the evaporating process to occur. Oil bottles, as you might have noticed, don’t have very much air space. And since oil is thicker than gasoline, it is more resistant to evaporation. At least, I hope so, for my engine’s sake. But motor oil can indeed go bad in storage. In the industrial fields, a lot of money is invested in lubricating oils. If it is a major factor in a company’s production process, then oil is stockpiled into big, expensive inventories to avoid running out. Therefore, much has been written about the importance of storing oils properly, especially out of direct sunlight. 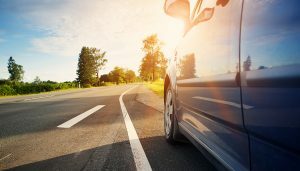 What’s the deal with sunlight and motor oil spoilage? In short, sunlight can bring about accelerated oxidation in oils. Oxygen molecules react to the UV (ultraviolet) rays in sunlight. It almost sounds like a science fiction movie, perhaps one about the apocalypse. 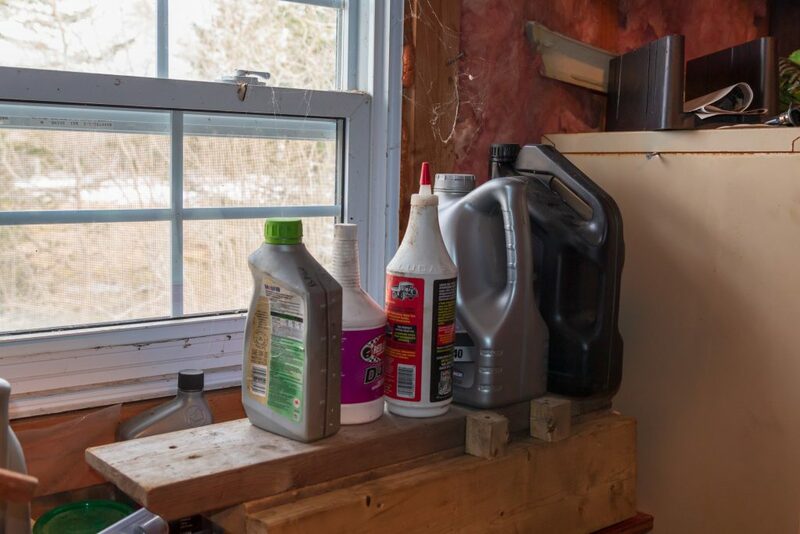 Be it said that it is best to keep your motor oil in the opaque bottles that it comes in and store it out of direct sunlight. The average quart of brand name motor oil is about 20% additives. Those additives, over time, can start falling out of the oil. It’s like that gallon of paint you bought to refinish your kitchen but never used. The heavier ingredients fall to the bottom, leaving the thinner ingredients on top. But unlike paint, oil additives that were cooked into the mix during the refining process can’t be stirred back into suspension. What additives can fall out of the mix? What Are the Additives in Motor Oil? Viscosity modifiers, especially in multi-grade oils. Anti-friction enhancers. Anti-corrosive additives. 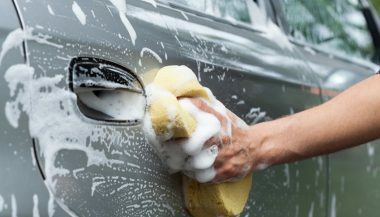 Anti-foaming additives. Anti-hardening additives, to keep engine seals soft. Anti-drip additives, to make the oil cling to internal engine parts. Detergents, to help prevent sludge. Dispersants, to hold the sludge in the oil until it reaches the oil filter. Anti-oxidants. Anti-shear products, to strengthen the film of oil between bearing surfaces. Alkaline. That neutralizes acids. All of those are another factor in does motor oil go bad as they degrade with time. How Often Should Motor Oil Be Changed? Always a subject that’s sure to start a debate, maintenance schedules are subject to reason, whim, and opinion. The rule of thumb for conventional oils, in vehicles that see stop-and-go driving is 3 months or 5,000 miles, whichever comes first. 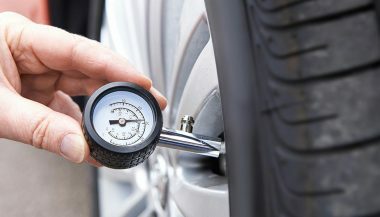 Many newer cars have an Oil Life Monitor which in most cases is what the manufacturer recommends you follow. If you are changing the oil, change the oil filter as well. Are you using synthetic motor oil? Then be sure to get a filter rated for synthetic oil as well. Why? Because you are going to leave the oil in your engine at least twice as long, so the filter has to be able to absorb twice as much sludge. So does motor oil go bad? Yes. But even then it’s still oil. Used motor oil is a carcinogen, so always wear gloves when changing your oil. This should go without saying but, do not ingest motor oil. Contact local poison control if you accidentally consume motor oil. Immediately wash your eyes with cool water if it happens to splash up into your eyes and seek medical attention if irritation persists. In the event of an apocalypse however, you can likely skip the safety precautions and use the old oil.